Tuinarchitectuurpark Makeblijde is an initiative of Narda Guicherit and Rozemarie Smits who discovered that it was not easy getting informed about garden architecture anywhere in the Netherlands. For this reason they developed the concept, which eventually would become Makeblijde. 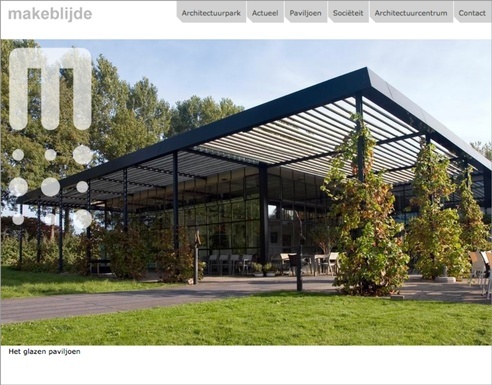 Tuinarchitectuurpark Makeblijde not only offers an information centre about garden and landscape architecture but also an website. Visualspace takes care of the design and realization of the Website.